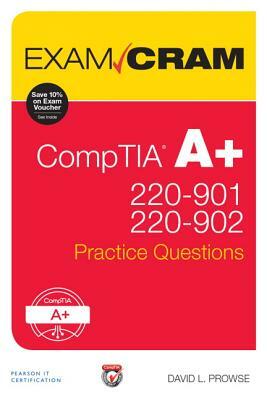 CompTIA A+ 220-901 and 220-902 Practice Questions Exam Cram complements any A+ study plan with 640 practice test questions in the book and on the companion site--all supported by complete explanations of every answer. This package's highly realistic questions cover every area of knowledge for both new A+ exams: 220-901 and 220-902. - Features 640 questions, organized to reflect the newest objectives for the A+ exams, so you can easily assess your knowledge of every topic. - Each question includes a detailed answer explanation. - Provides complete coverage of all objectives for the 220-901 and 220-902 A+ exams.